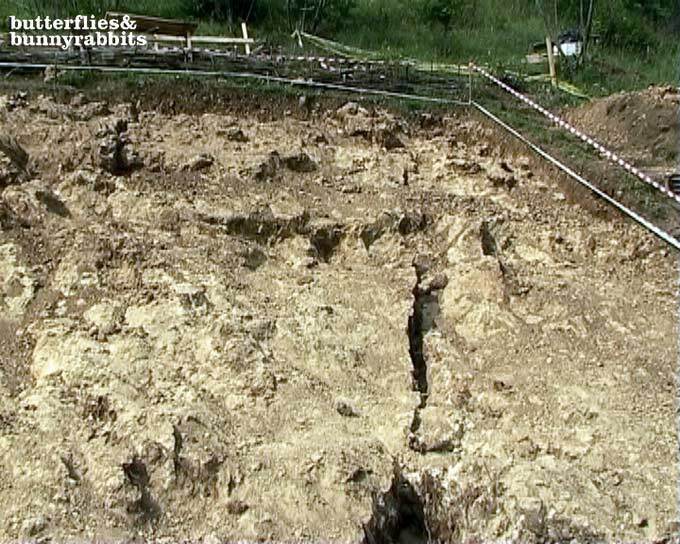 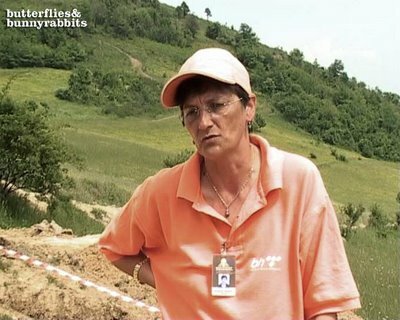 Geologist Nadja Nukic talks about the pyramids in an interview with Butterflies and Bunnyrabbits. Archeologist Silvana Cobanov talking about the sand stones with Egyptian Geologist Ali Berekat. 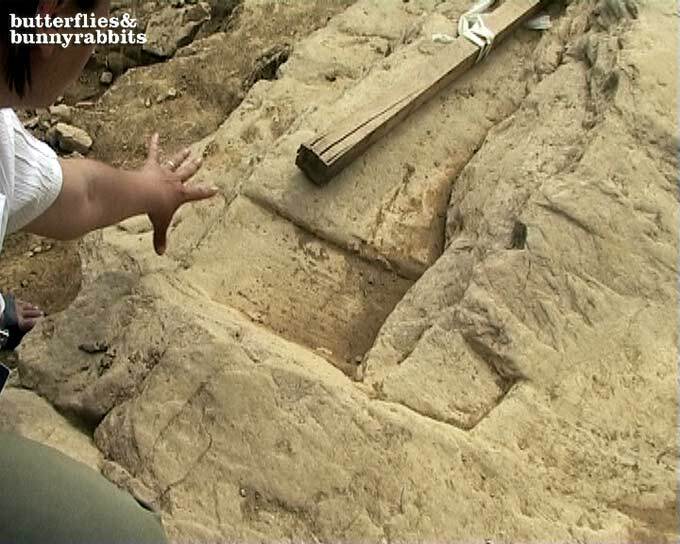 Archeologist Silvana Cobanov pointing out artificial structures at the excavation site. 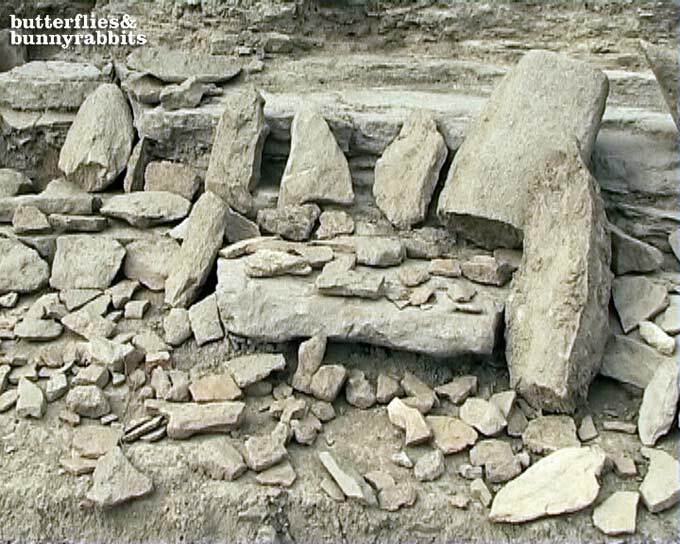 Stone tiles put to the side for further examination. The new sondes show further proof of man shaped stone blocks.